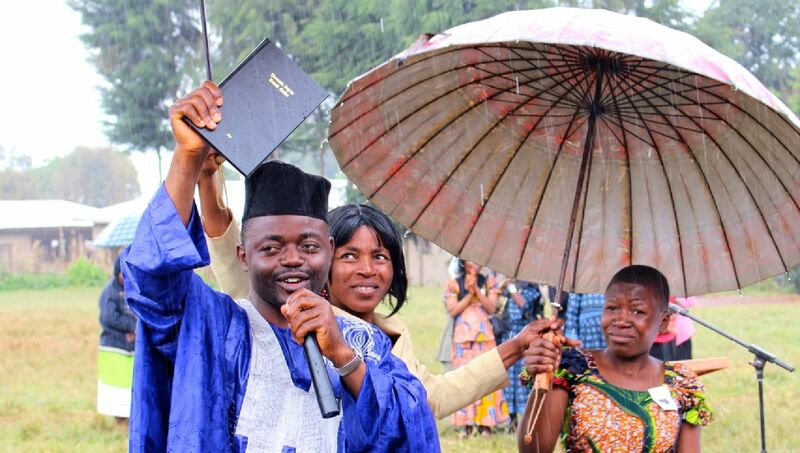 On 12 October 2013, many years of work on the Oku New Testament came to fruition when around 2000 people celebrated the dedication of God’s Word in the Oku language of NW Cameroon. Aba! 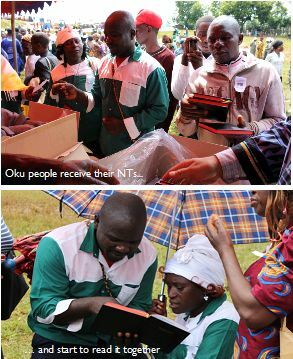 The story of Oku has changed! And the people’s hearts once darkened, now are brightened. Now speaks like an Oku man. But now Scripture is gain. But Jesus would be our true doctor. As though we have caught a tiger with our hands. With radiance of smiles as of the bright gentle waves of Lake Oku. The source of everything that is right. Through Jesus Christ our saviour and King. Amen. 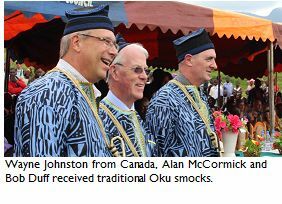 Bob Duff, retired Wycliffe member, once coordinated support from N. Irish churches for the Oku project and others. His church, Greenwell Street Presbyterian Newtownards, was one of those churches. 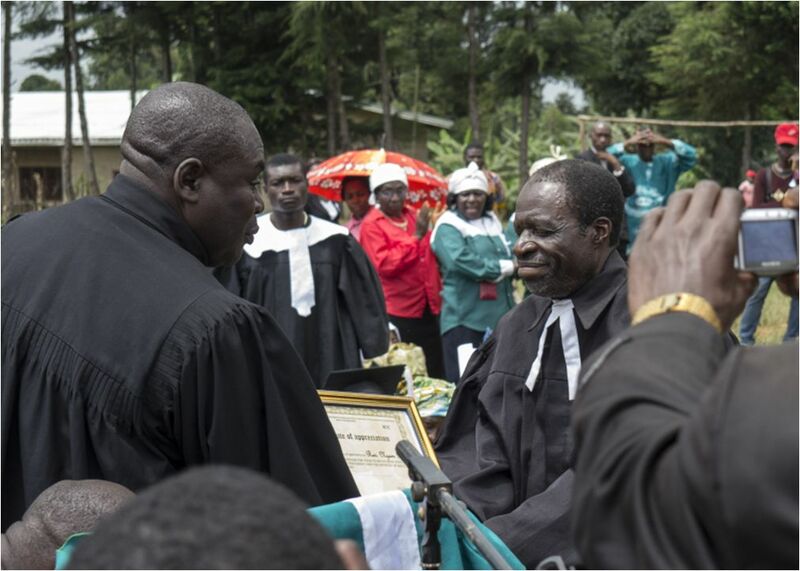 Bob and fellow elder Alan McCormick represented Wycliffe UK at the dedication ceremony. 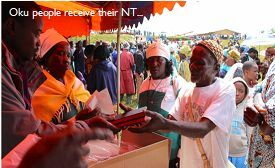 “The Oku people had waited for this moment for over twenty years and many had paid in advance for their copy of the New Testament so eager were they to read ‘God’s Talk’ for themselves. 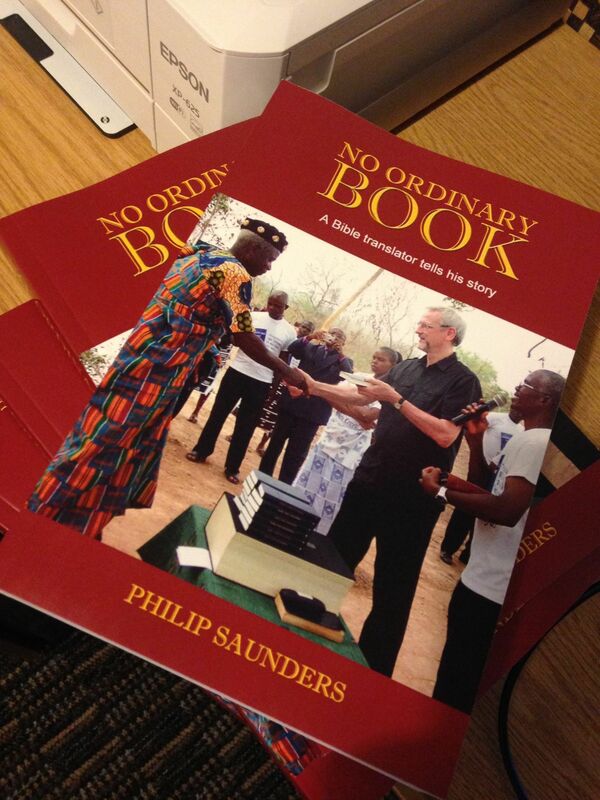 The experience of being present at this event prompted one to ponder at the value placed on God’s Word by people In Cameroon compared with the sometimes casual attitude we regard those same scriptures in Northern Ireland. Looks like another long night, just can’t settle. Maybe an all-night prayer session needed! Anyone need prayer? He couldn’t sleep. Friends responded, praying for him. He offered to make the most of his wakefulness by inviting prayer requests – and fellow insomniacs obliged. I wasn’t actually awake at the time so I didn’t read all about it until the next day, but had I been, I could have sent him some statistics to pray through. What do 180 million people look like? If you wanted to count to 180 million (and remember, some of those numbers take a lot of saying out loud, like 154,763,972), it would take you just short of a decade. It’s around the population of Pakistan, or three times the population of the UK. How many is 1,919 languages? Instead of counting all the people, say you wanted to learn to speak their languages. Not fluently of course (you don’t have that much time! ), but enough to be able to have some conversation with the speakers. If it takes you a year and a half to learn a language (remember, most of these languages don’t have lesson plans or even a dictionary), you’d learn your last language after 2,878 years. Time to get studying? And I would have sent him the infographic above for some light relief. If I’d done all this, he might have fallen asleep quite quickly. And if not and he had prayed through all that… well, prayer for those who don’t have the Bible in their languages has to be better than counting sheep! Read more about the up to date statistics of Bible translation at The Bible World in Numbers. Pictures speak louder than stats! My wife used to strongly advise me to tell stories rather than quote statistics when speaking about the work of Wycliffe Bible Translators. She was and is basically right – and I do love to tell stories. But sometimes there are people who need to hear the stats and there are other people who just love stats. 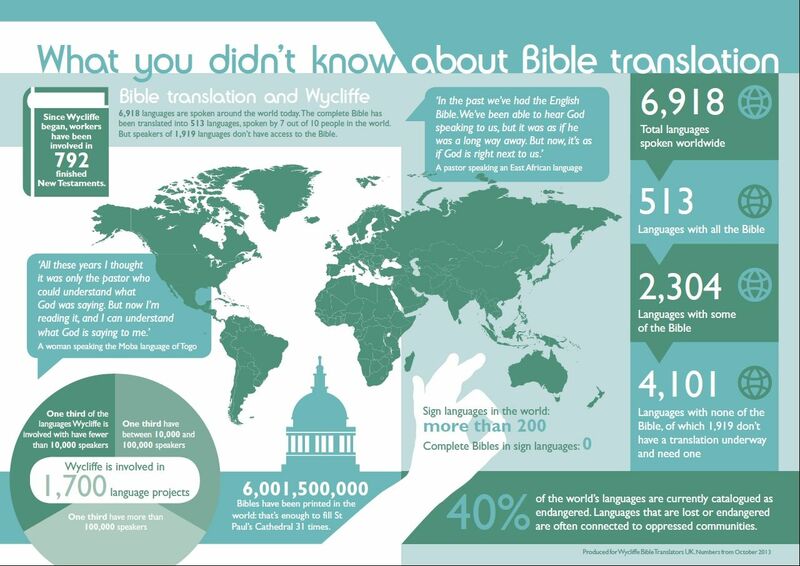 So I was delighted to recently receive this infographic which successfully (if not very colourfully) combines stats with stories – and gives us the latest Bible translation statistics. Let Google Translate do it! I’m always being asked questions about Wycliffe Bible Translators. It’s great: it’s my job. Sensible questions. Stupid questions. Thoughtful questions. Totally insensitive questions. But at least people are asking me questions and not ignoring me altogether. One reasonable question is, that in the light of the wonderful Google Translate, why can’t Wycliffe just use that and get the job done quickly? Recently however the Wycliffe UK Blog dealt with this question in a more serious way. 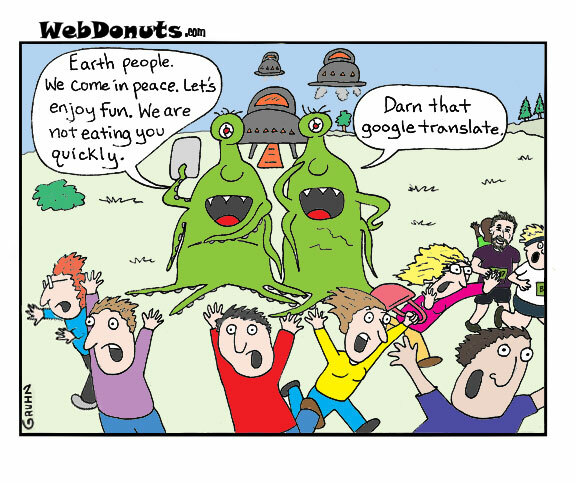 The first problem is that Google Translate supports just over 70 languages – but there are around 100 times that many languages spoken in the world! So it’s fantastic if you want to translate from English to French or from German to Icelandic, but not very good if you want to translate into Cemuhî, a New Caledonian language with around 2,600 speakers, or Yetfa, an Indonesian language with 1,000 speakers. Second, the way it works is by searching for patterns of words in documents. 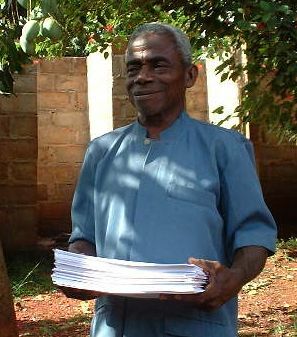 But if no documents have ever been written in a language – as is true in many languages Wycliffe workers are involved with – it doesn’t have anything to search. Another important aspect is the poor quality of Google Translate, even in well known languages. Unfortunately, many use it for official products not even realizing that the end result makes very little sense, because they don’t know both languages enough to notice the problems. There are still millions of people speaking languages Google Translate has never heard of, and they don’t have even one part of the Bible in their own language. Help with Bible translation. 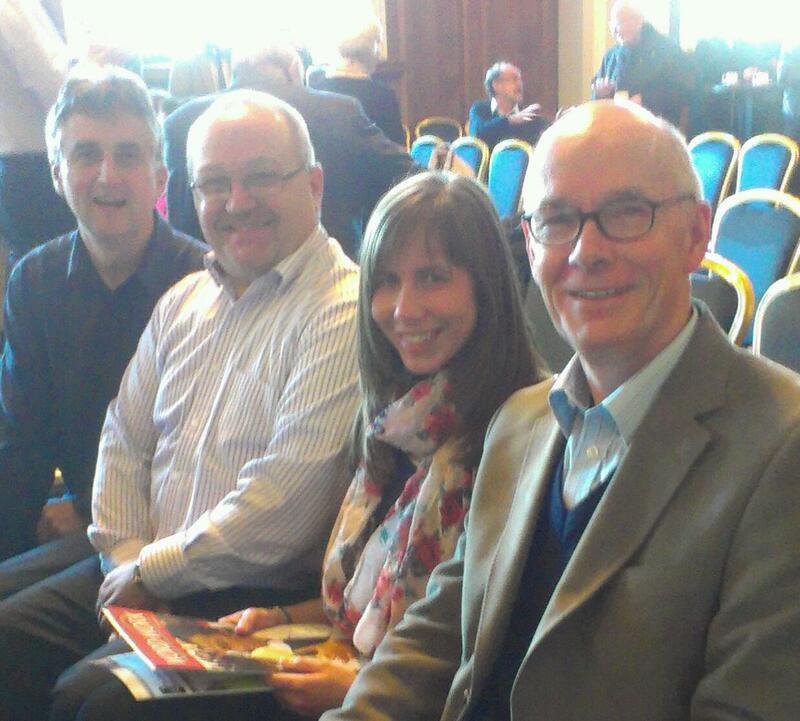 Recently with some colleagues, I received an invitation to an event at Belfast City Hall. Historically the Bible has been viewed primarily as a book – until now. Over the past five years, Bible Societies around the world have been working in partnership with a digital platform called YouVersion to make the text of Scripture available to a new generation. Now it is available as a free download to smart phones and tablets in more than 400 languages. We want to celebrate this achievement and specifically the addition of Irish and Ulster Scots Scriptures to the range of choices that are available worldwide. 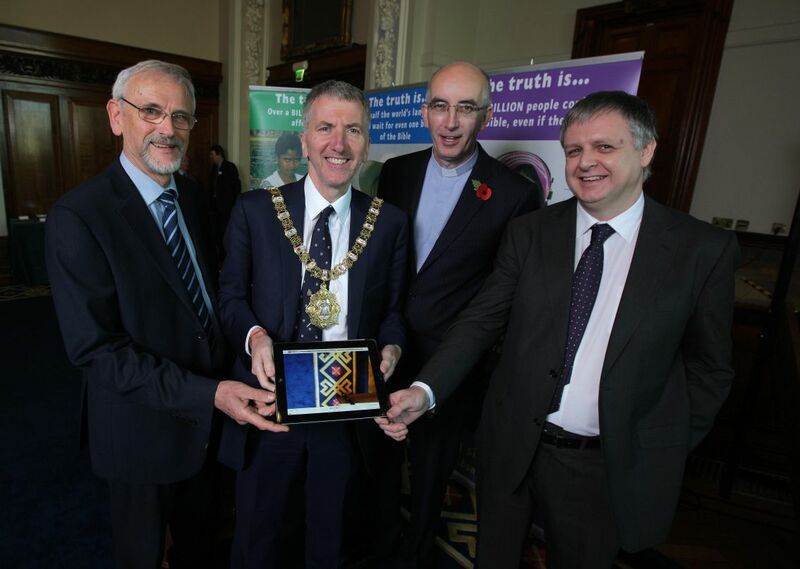 You are invited to a special celebratory event in the Banqueting Hall, City Hall, Belfast on Monday 4 November 2013 at 10.30am. The Lord Mayor and other guests will read Scripture passages, including selections from the newly digitalised Irish and Ulster Scots texts . A day or two later we heard that we all made a brief appearance on the Irish Language TV station TG4… Fame at last, but I must confess that we understood very little of the commentary in Irish. Meanwhile in Wycliffe Bible Translators, we focus on how we can help the remaining 1,967 languages that still await Scripture translation; for them YouVersion is still a long way away.